In buying former Phoenix Brewery Co. building at 847 Washington St., Nick Sinatra plans up to 40 high-end apartments. 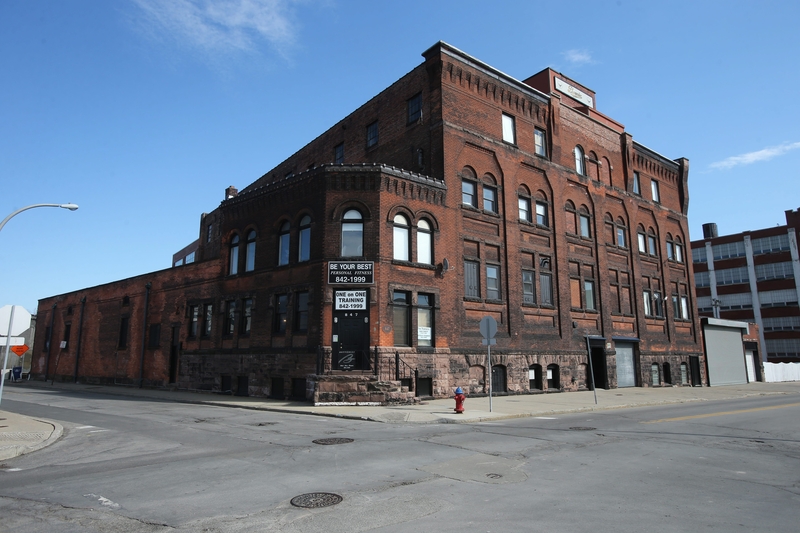 Developer Nick Sinatra is placing a big bet on the Buffalo Niagara Medical Campus, snapping up a historic former brewery warehouse at a prime location that he plans to convert into high-end apartments. Sinatra on Thursday closed on his purchase of the former Phoenix Brewery Co. building at 835 Washington St., at Virginia Street, securing a piece of real estate at the coveted Medical Campus. The historic building is located next to the hulking Trico Building, which Krog Corp. of Orchard Park is planning to redevelop into a mixture of two hotels, apartments and some commercial and retail space. Sinatra, who is also in the midst of buying the Market Arcade Building in downtown Buffalo, paid $1.78 million to buy the 55,000-square-foot warehouse from Joseph Parlato, an antiques dealer who has been using it for 30 years to store antiques before selling them at shows and online. A significant part of the building has also been leased in the past to La-Z-Boy Furniture Gallery for back-office warehouse storage, Sinatra said. The well-funded developer – whose backers include members of the Hyatt hotel chain’s Pritzker family – now plans to spend about $3.5 million on top of the purchase price to renovate the structure into 35 to 40 high-end, market-rate apartments, aimed squarely at well-paid Medical Campus employees who want to be able to walk to work. Most will be large two-bedroom, two-bathroom units of at least 1,000 square feet. He said he’s planning to incorporate special details such as old beer barrels and the Phoenix logo into the finishes, perhaps as part of a centerpiece in units, or in the lobby, or even as part of a breakfast bar in each apartment. “It’s just going to be a fantastic project. The building is in really great shape,” he said. Sinatra said he hopes to retain two current tenants – a barber and a personal trainer, both of whom work only by appointment – as amenities for the building. There will also be indoor parking in the building. Plans call for the project to be completed by spring 2015. Sinatra expects the $5 million project to benefit from historic tax credits that could amount to up to 40 percent of the renovation costs.